The style of this photo album portfolio website design is based on clarity and ease-of-use to provide a more effective promotion of your products and services online. 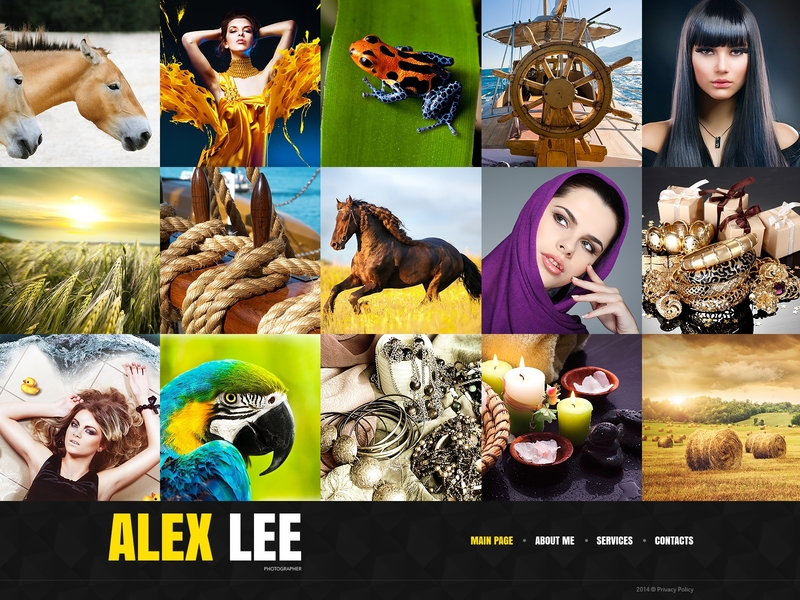 In case your photography portfolio, professional photographer portfolio or photographer portfolio webpage needs a remodeling, try this template. Template's design is responsive, which means that your guests can easily work with website's functionality from any gadget they hold at hand at the moment. A friendly customer assistance squad is accessible round-the-clock totally free. Make full use of this offering for your web project, and its guests will be willing to browse your resource.